“Is this the reasonable side?” asked a man named Tom Betts, as he took his seat. 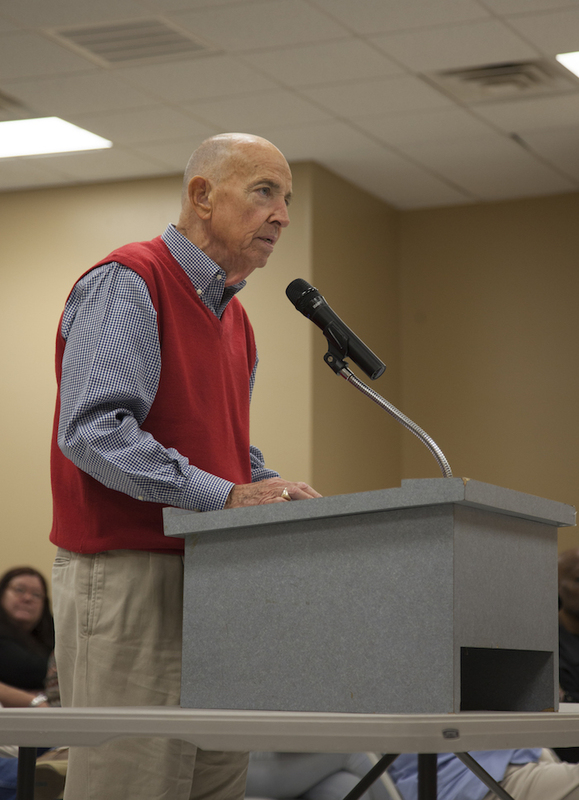 The vice-chairman of the Nash County Development Commission and a regular at these meetings, had driven 45 miles to support the Atlantic Coast Pipeline’s application for an air quality permit. The NC Department of Environmental Quality was holding a public hearing on the permit, which would regulate emissions from a compressor station in Pleasant Hill, in Northampton County near the Virginia border. The residents of Northampton County who do support the ACP and vouch for its safety are generally those with connections to the utilities or economic development leaders who insist the pipeline is essential for job growth in a financially depressed part of the state. 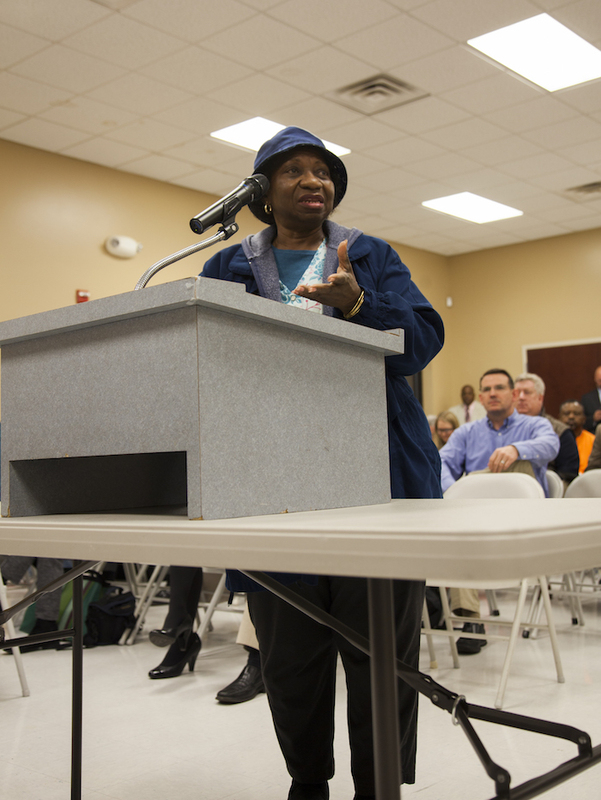 Lola Osby, a Garysburg councilwoman and one of the few Black supporters, retired from Dominion after 38 years. Glover Construction, a 60-year-old family business located in Pleasant Hill, has contracted with Duke Energy to help build coal ash landfills at Roxboro and Belew’s Creek. Heaton Construction, which also spoke in favor of the ACP, has a contract to build an office at the proposed new compressor station. Gary Brown, the economic development director for Northampton County, received a $1,680 grant from the ACP for his nonprofit, the North Carolina Center for Automotive Research. “There are consequences to human activity,” Brown acknowledged. But we need to sustain high-wage opportunities for our own children so they can stay here.” He said that he had to withdraw proposals for two large economic projects — which he did not name — because Piedmont Natural Gas said it couldn’t meet the energy demand for either one. However, Piedmont is a co-owner of the ACP. However, many residents of Northampton County see many downsides and overwhelmingly oppose the compressor station. They are concerned about noise from the turbines — although the nearest home is a mile and a half away — and safety. They question the need for another natural gas pipeline, when two already cross the county. They are skeptical of the utilities’ claims that the ACP will be an economic boon for the area, especially when they as ratepayers will have to cover the bulk of the costs of the $5.5 billion project. The new compressor station would add 18 tons per year of particulate matter into the air — more than 10 percent of the current total, according to the ACP’s draft permit and DEQ’s 2015 air emissions inventory. It would emit more than 41 tons of volatile organic compounds, equivalent to another 5 percent; and formaldehyde emissions would total more than 1 ton annually, adding to the current burden of 9 tons produced by other facilities in the county. “We ask DEQ to more rigorously review the air permit,” said Hope Taylor, executive director of Clean Water for North Carolina. She cited an existing compressor station at Pleasant Hill and other polluters that are already operating in a predominantly Black area. 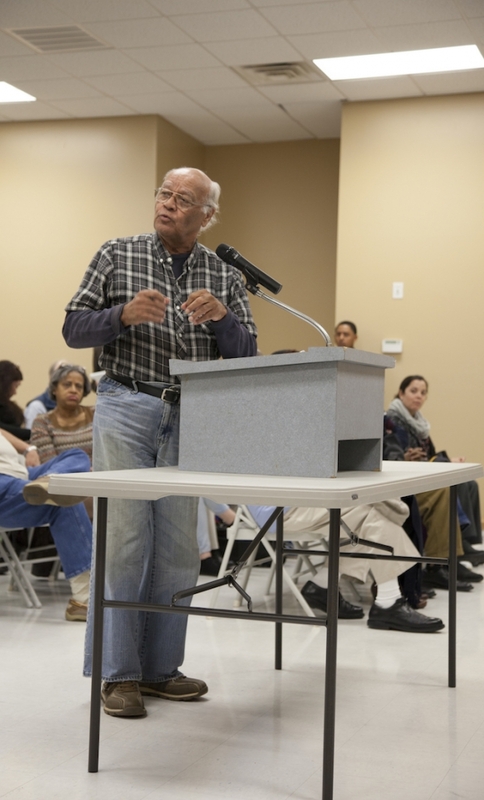 Fifty-eight percent of Northampton County residents are Black; in the census tract near the proposed new compressor station, the figure is 80 percent. As for dust and odor, Taylor pointed out, those controls are complaint-driven — and are not required. The meeting ended after nearly two hours. For travelers heading west on NC 46, the air smelled acrid. On the horizon, steam rose from the stacks at the Kapstone Paper Mill in nearby Roanoke Rapids. It emits more than 4,100 tons of pollutants a year — pollution that does not recognize county lines.